The uniqueness of an organization’s talent and their leadership capability IS a differentiating competitive advantage which cannot be duplicated by others. Therefore, leadership development must be a strategic business imperative. How are you prioritizing the development of today’s leaders for becoming tomorrow’s transformational leaders and executives? Our core solutions and specialized services help individuals, teams, and organizations develop critical workplace capabilities. Through a deep understanding of talent development, we help you align your business strategies with development strategies, creating something extraordinary in the process. What you really want from talent and leadership development is more than a single skill set. You want a strategic benefit for the organization, which is ultimately what we achieve together. So, we don’t just do training…or coaching. We deliver outcomes. Our Solutions Model depicts the outcomes you get from strengthening your leadership pipeline or individual capabilities. The byproduct of our work is showcased in each circle. Whether we’re coaching, training, speaking, or consulting we have a breadth of knowledge and experience to share. The list below represents our expertise and the many skills our clients are typically seeking to develop. For complete descriptions of our programs and workshops, please request our syllabus. After an initial exploration of your issues and challenges, we suggest the most appropriate mix of services and customized solutions. We offer several learning formats to provide the “just-in-time” development you’re seeking. Together we determine the best options for the desired outcomes. Interactive Workshops – A rich variety of learning approaches allows participants to use different senses for exercising preferred learning styles. We unlock one’s potential by using physical activity, creativity, images, color, and other means designed to get people deeply involved in their own learning. Virtual Learning Platforms – From webinars to e-learning to online assessment centers, we have a blend of virtual learning options from which to choose. Micro-learning – We design bite-sized chunks of learning to occur outside the structure of formal environments. These snack-sized development opportunities help leaders learn more in a compressed timeframe. From short videos, to a quiz for recall, to a short practice task, micro-learning quickly reinforces knowledge and new skill sets. Gamification – Learning games and gamification elements, like the use of a leaderboard or a point-based reward system, motivate and engage learners with experiential development. We customize games in context with your issues and needs. Experiential Learning – We design developmental activities directly connected to the learner’s concrete issues and in context with the learner’s environment. Through reflection and critical analysis, the learner engages socially and physically; and learns from mistakes, successes, and natural consequences. Learn more about what sets us apart to be you preferred partner for leadership development. Tips and insight for breakthrough success. Optimize personal effectiveness. 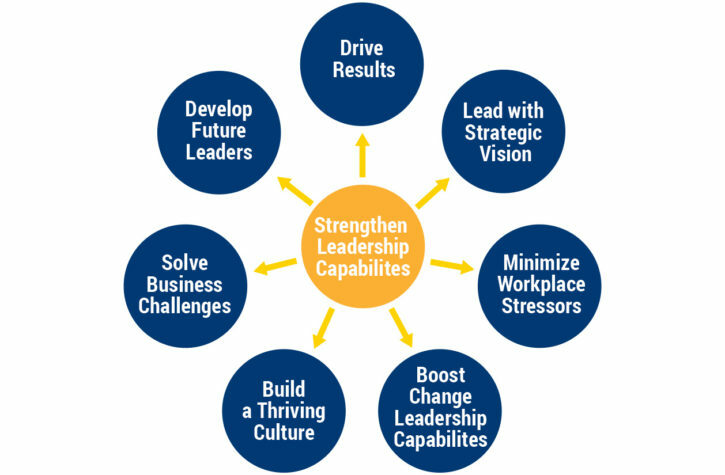 Boost leadership capability. We’ll deliver blog posts, updates, and FREE information directly to your Inbox. Plus, get special bonus content available only to subscribers.